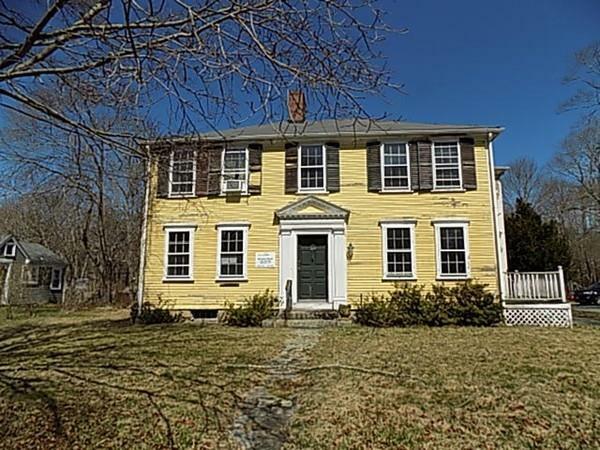 Historical Colonial home on a Main St featuring 8 Rms/3 Br/2 Ba and 2, 320 Sq Ft situated on a 26, 098 Sq Ft lot. Good layout with formal living & dining area, large kitchen & family room, 4 good sized bedrooms. Lots of old time charm throughout the home with ton of potential. Large yard with a 2 story 2 car garage, plenty of parking. Home in need of a lot of work, but has historical charm throughout. Financing will be difficult due to the condition of the home. Excellent location close to shopping, freeways, schools and restaurants. Come see this home today!